Here is your opportunity to own a solid home on over a HALF ACRE LOT in a QUIET neighbourhood close to PARKS and the OCEAN! 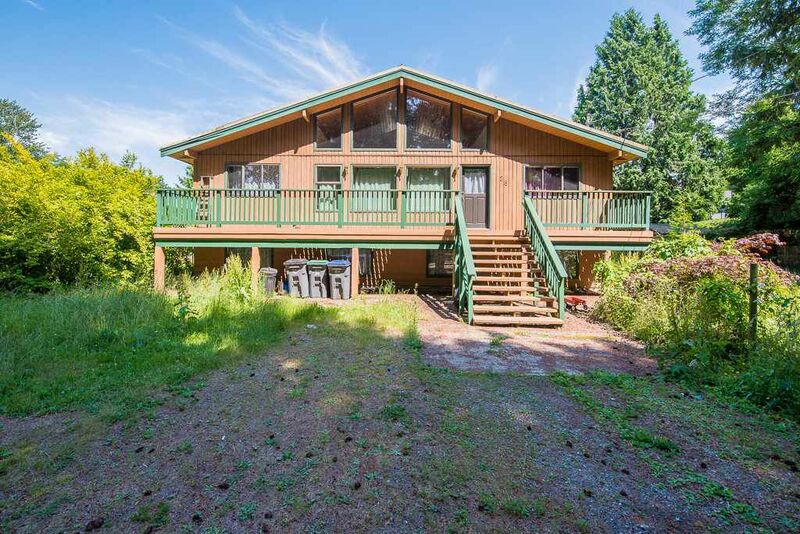 You'll love this classic West Coast cedar home with spacious rooms and vault ceilings! A HUGE 36' X 24' shop for trucks or repairs with clearance for rigs, comes complete with it's own bathroom. Enjoy a great place to live while knowing that the value of this property increases as this area is part of the Surrey Douglas OCP which includes Urban Single Family (6 units per acre). Right now, just live, breathe the salt air, and enjoy!